Adrenalectomy is the standard of care for management of many adrenal tumor types and, in the United States alone, approximately 6000 adrenal surgeries are performed annually. Two general approaches to adrenalectomy have been described; (1) the open approach, in which a diseased adrenal is removed through a large (10–20 cm) abdominal wall incision, and (2) the minimally invasive approach, in which laparoscopy is used to excise the gland through incisions generally no longer than 1–2 cm. Given these disparate technique options, clear preoperative characterization of those specific disease features that inform selection of adrenalectomy approach is critically important to the surgeon. 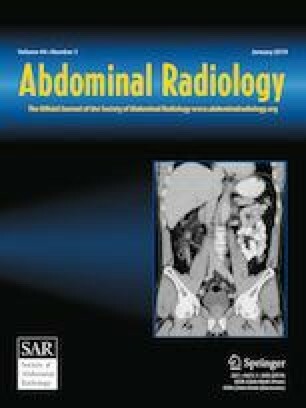 Because most of these features are directly assessed via preoperative abdominal imaging, in particular computed tomography (CT) scanning, a clear mutual understanding among surgeons and radiologists of those adrenal tumor features impacting operative approach selection is vital for planning adrenal surgery. In this context, we review the preoperative CT imaging features that specifically inform adrenalectomy approach selection, provide illustrative examples from our institution’s imaging and surgical archives, and provide a stepwise guide to both the open and laparoscopic adrenalectomy approaches. Steven P. Rowe and Carolina Lugo-Fagundo have equally contributed to this work.